Disclosure: In exchange for my post and to facilitate my honest review of this experience, I received tickets to this attraction for my family. No other compensation was received and all opinions expressed are my own. 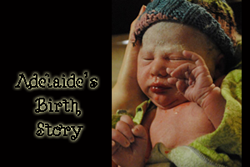 Fair warning: this post contains so.many.photos! 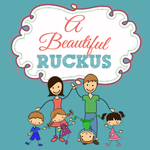 Our family trip to Omaha, Nebraska was a whirlwind, but it was a blast! We drove straight to the Omaha Zoo, spent the night at the Hilton Omaha, and then headed for the Omaha Children's Museum in the morning! 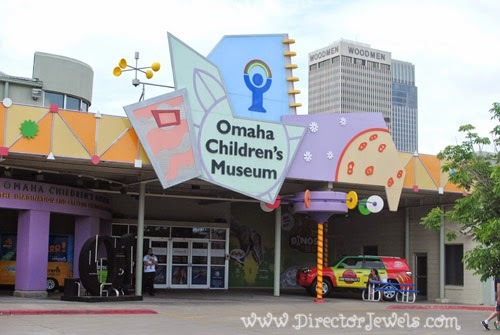 Located in downtown Omaha, the Children's Museum is a sight for weary parent eyes with the brightly colored, whimsical design of the building. Lincoln saw it and immediately said "we have to PLAY in there!" We checked in at the front desk and were given stickers to wear (to allow us admission into the special exhibit), and then the kids were off to find adventures! We stopped by a creative play station and put on a (very short) puppet show before Lincoln high-tailed it to the staircase and was climbing to the top before we could catch him! To say he was excited is a serious understatement. Both of my kids were ecstatic to run, jump, and climb in the Zooland exhibit. 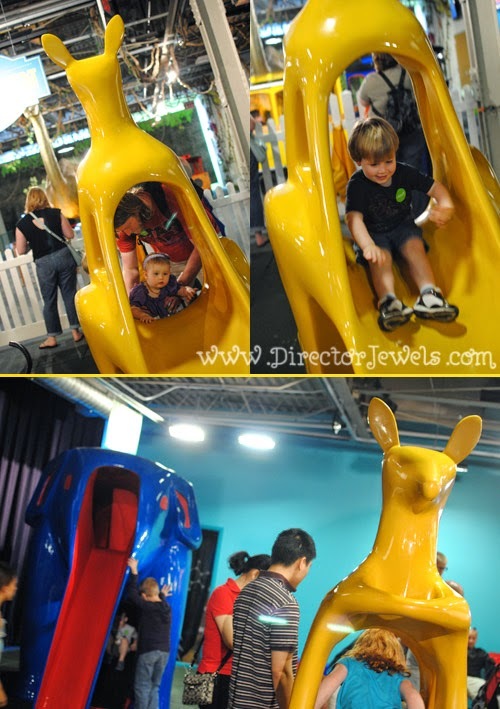 The over-sized, brightly colored animal play structures are so much fun! Lincoln (of course) took the opportunity to run behind the curtain you can see on the left (behind the elephant) and disappeared on us for a few terrifying minutes. Thankfully, there were enough things to catch his attention that he got bored with running away and stopped to play so we could find him again. 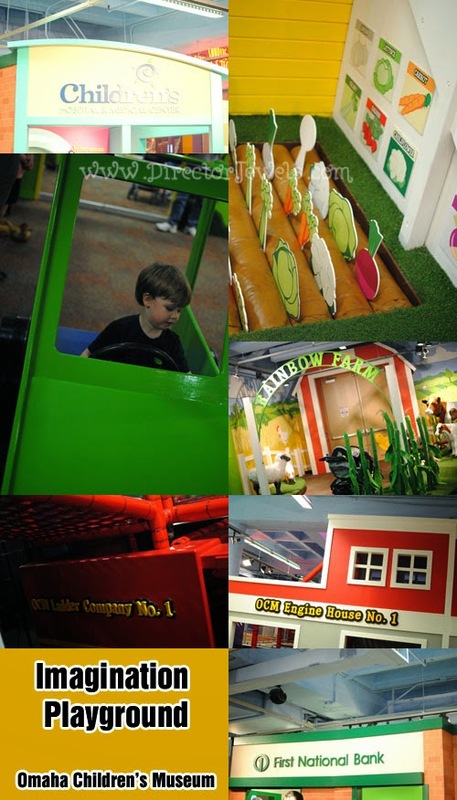 The museum is a 501 (c) 3 organization and their mission is to engage the imagination and create excitement about learning. I'd say they do a great job of both! 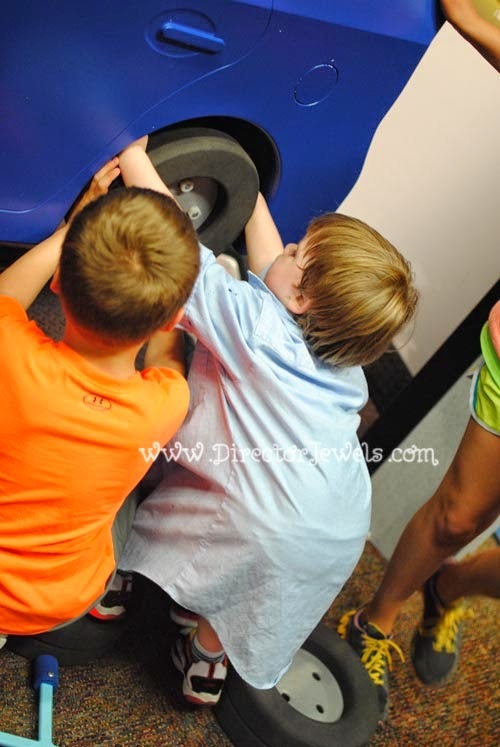 The current special exhibit, Dinos: The Big Dig, was a huge hit with Lincoln. 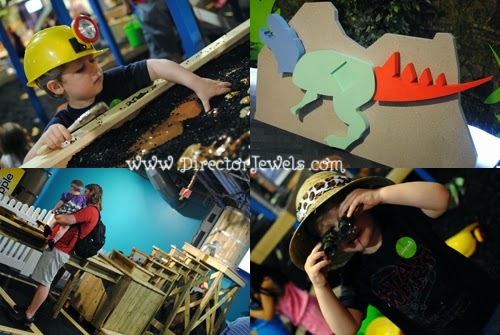 He spent a very long time digging through the archaeologist site, searching for dinosaur bones, had fun with all of the dress-up clothing options placed throughout the exhibit, and built a large foam dinosaur on the wall! The Dino Diner play area also offered a great scope for the imagination, as kids were creating all sorts of tasty (plastic) dishes over the fire pit in the restaurant's center and serving up meals to their companions and parents. 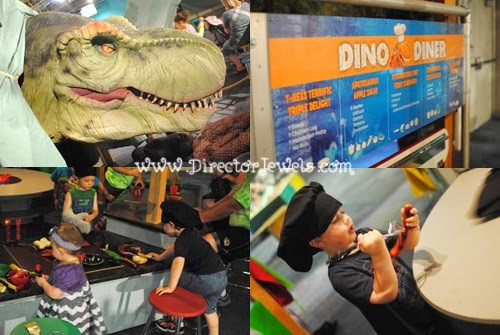 Dinos features robotic dinosaurs like a T-Rex family, Triceratops family, Pteranodon baby, and many more! 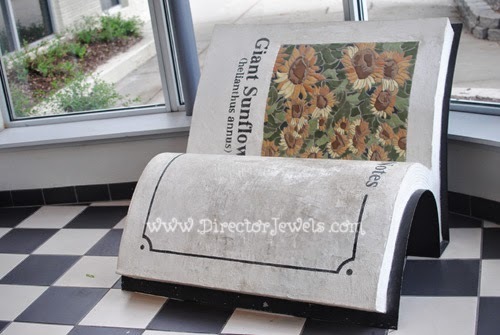 There's a two-story Dino Dig Pit, 40-foot Fossil Climber, Paleo Tent, Dino Diner, 3-Tiered Mosaic Climber, and other fun things to do and see. A couple - the Dinosaur Train and Treasure Creek - are available with additional purchase, so we skipped those this time around since the kids were perfectly content to play with all the included options! I honestly think Lincoln would have happily played in the Dino exhibit all day - we had to drag him away to see what other fun opportunities were waiting for us to explore! The Charlie Campbell Science & Technology Center was our next stop. 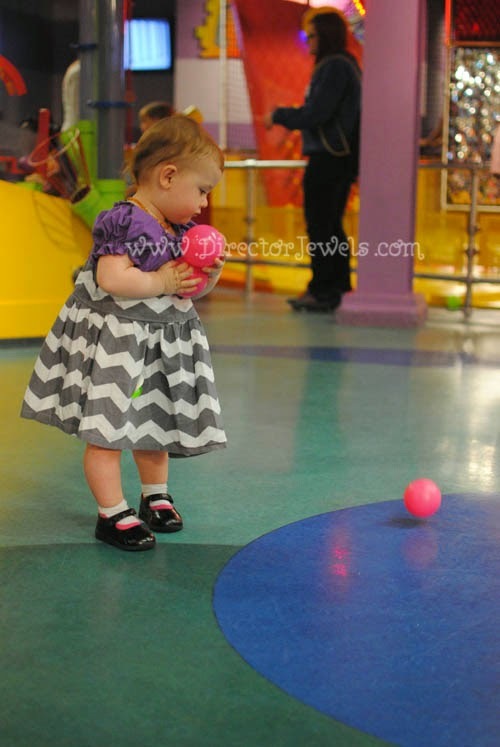 My three-year-old and one-year-old had no idea they were learning anything about science, but they loved chasing balls around the room and finding places to have them vacuumed away! 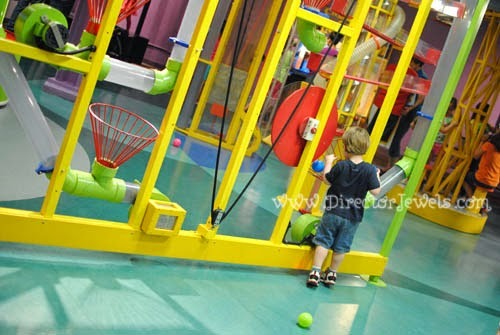 The exhibit design is so perfect for children, with buttons to push and constant motion - once we were here, my kids again didn't want to do anything else! 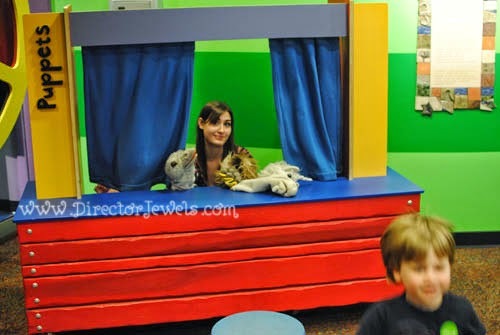 Addie and I took a much-needed break in the Family Discovery Room in the Imagination Playground. She was desperate for a nap - and while I didn't get her to sleep, she was able to chill in a quiet area and reset a little before we went back out into the chaos. There's a small, private room available for moms who are nursing or trying to get babies to sleep - love finding places that are family friendly like this! Going to a children's museum with two toddlers is kind of like signing up for a marathon knowing you can't have even a second to relax! But they had a blast, so it was definitely worth it. 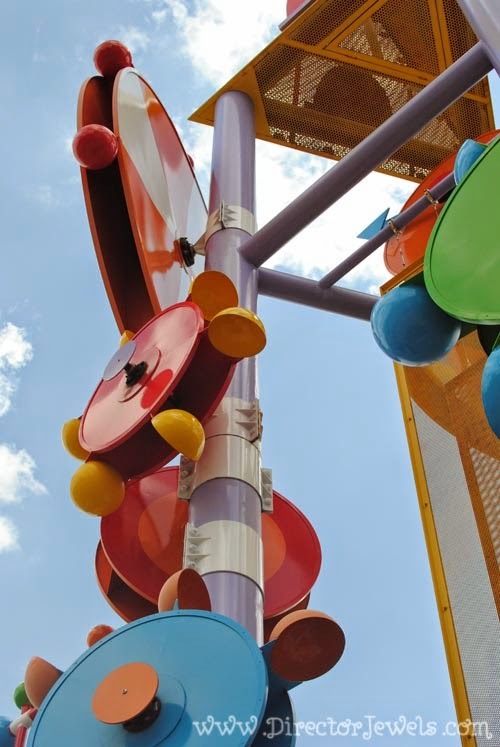 I think my favorite part of the museum was the Imagination Playground, which features several different interactive areas aimed at children ages 0-5. 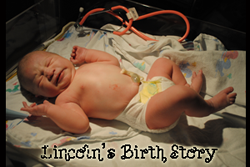 Kids are able to explore the Children's Hospital & Medical Center, First National Bank, Rainbow Farm, OCM Engine House Number 1 (this was Lincoln's favorite, of course - no wonder after the firetruck birthday party we had earlier this year), and Little Market. 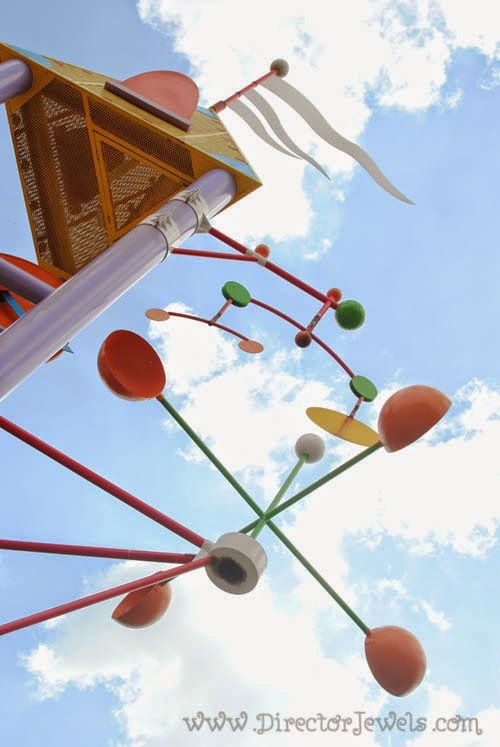 Each area is very beautifully designed and features so many options for creative, imaginative play! I especially loved the two-story farm house with a kitchen on the lower level and a bedroom with baby dolls on top. The little garden and lawnmowers outside were the perfect touch! The kids honestly did not even make it to all of the different buildings, even though we spent over an hour playing in this section of the museum. They ran and ran and played their hearts out - it was awesome. 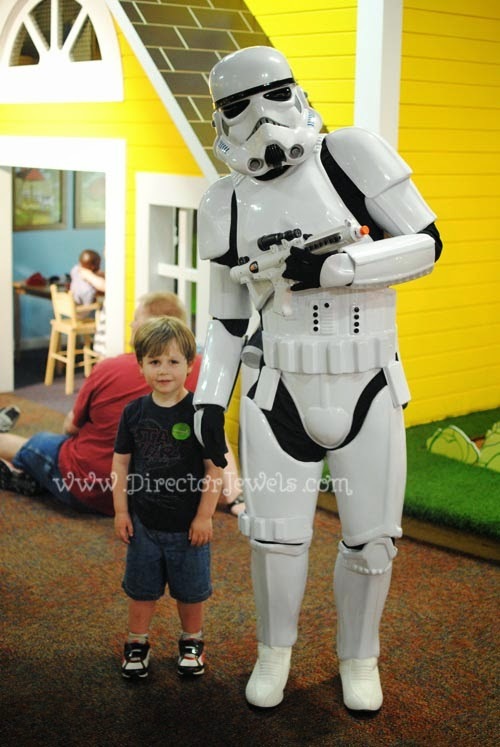 Lincoln got to have his picture taken with a Storm Trooper. Mom and Dad may have been more excited than he was, but hey. I'm an unashamed Star Wars fan. This was a fun bonus! Lincoln only got a little wet while working to put out "fires" in this interactive water play area in the middle of the Imagination Playground. He went back to it over and over again! The standout favorite for Lincoln, though, was the Walker Tire and Auto Service Center. 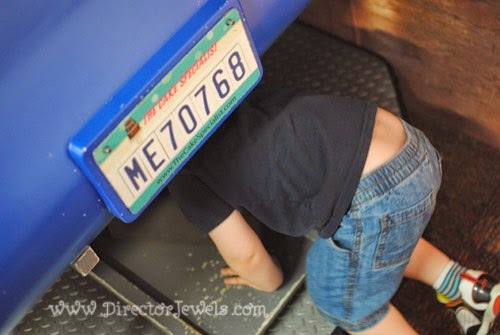 He was able to dress like a mechanic, climb under a car, change tires, and create custom license plates. He was in heaven. We had to drag him away from this section more than once (to allow other kids a turn), and this was the last place he wanted to stop before we headed home. 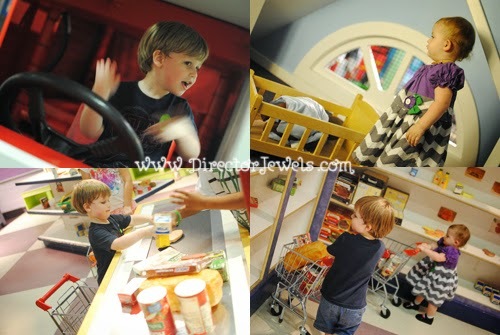 Our visit to the museum was wonderful and we can't wait to go back again someday! I feel like we barely scratched the surface, as there was a section or two we didn't even begin to discover. If you're local to this museum, I think an annual pass would be well worth the price for all of the fun opportunities that lie in store! 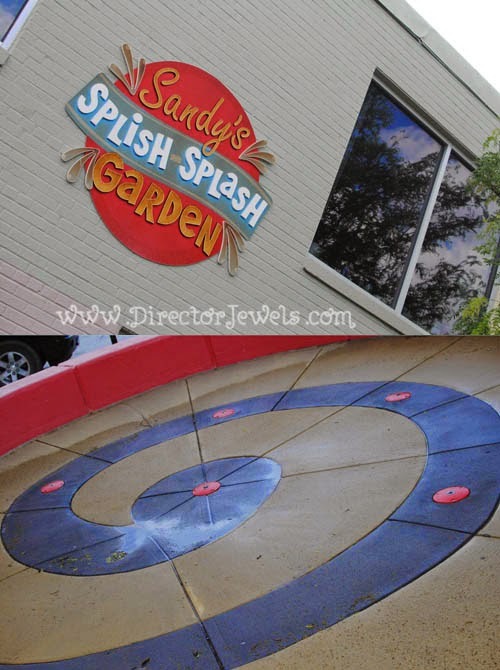 I'm hoping next time we visit, it will be warm outside so that we can take advantage of the fun Sandy's Splish Splash Garden! 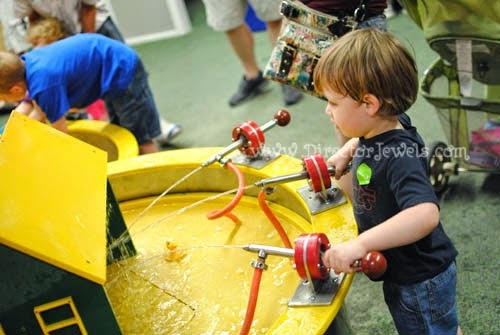 What kid doesn't love water play? Okay, except mine (last year). I think they're thankfully over that now! After so much play time, the kids were very sleepy as we packed them in the car and got ready to head back to Kansas City! 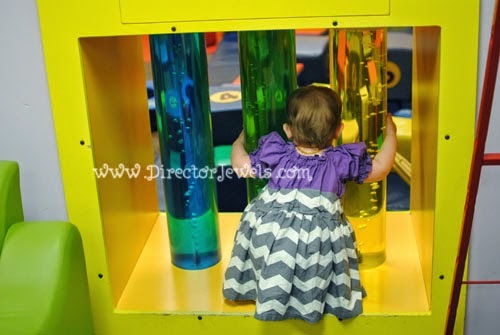 I know we'll be making more stops at the Omaha Children's Museum in the future - it was so much fun! 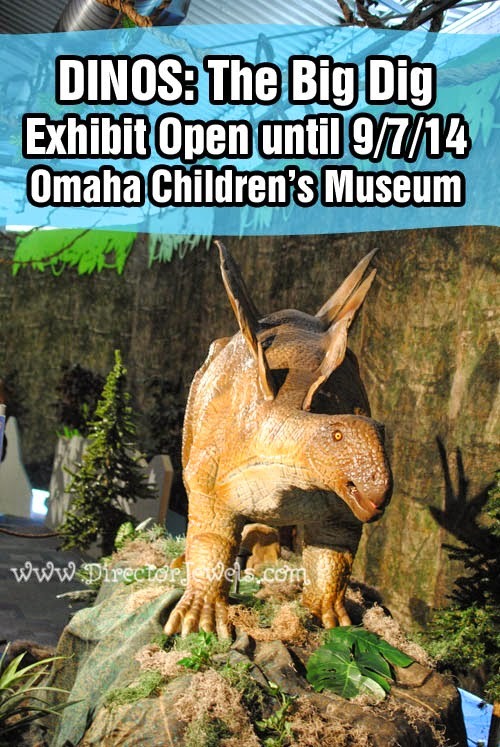 You can check out all the exhibits and animals at the Omaha Children's Museum website, and keep up with the latest news on Facebook and Twitter. Disclosure: In exchange for my post and to facilitate my honest review of this experience, I received tickets to this attraction for my family. No other compensation was received and all opinions expressed are my own.